Limestone is continuing to see savings as it adopts more progressive energy alternatives. LIMESTONE, Maine — Limestone is continuing to see savings as it adopts more progressive energy alternatives. Town officials currently are considering switching to LED street lights, and last year, contractors broke ground on a 1,728 panel solar array capable of producing 596 kilowatts of power, offsetting 86 percent of the Limestone Water and Sewer District’s electricity costs. ReVision Energy recently installed this 1,728 panel solar array capable of producing 596 kilowatts of power, offsetting 86 percent of the Limestone Water and Sewer District’s electricity costs. The Water and Sewer District, a quasi-municipal entity based in Limestone, already has saved more than $3,000 on energy costs with the solar panels in just three months, according to one official’s estimates. Three parties are primarily responsible for this solar project: the Limestone Water and Sewer District, ReVision Energy, and Aligned Climate Capital, LLC. Officials with the Limestone Water and Sewer District contacted ReVision Energy last year to head up the solar construction project. Then Aligned Climate Capital, an investor focused exclusively on clean energy and climate-friendly alternatives, was brought in to fund the project through a “power purchase agreement.” That allows the town to buy the electricity generated at the site at a lower cost than they would have otherwise paid Emera. 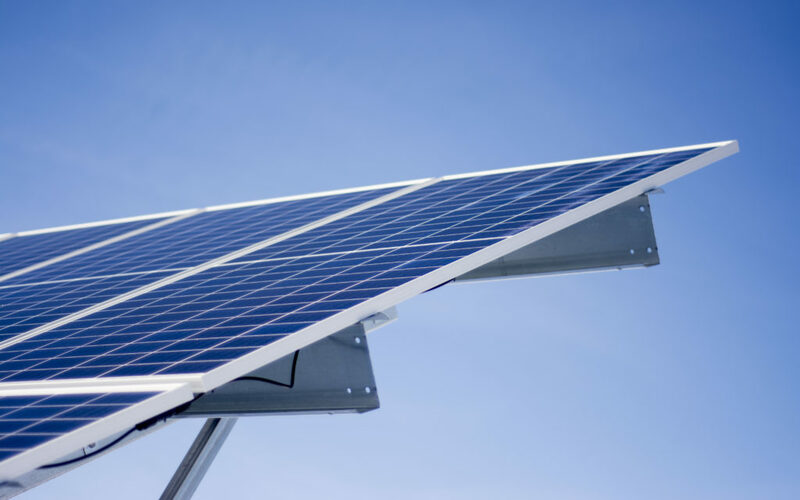 With the funding secured, ReVision Energy installed the solar arrays at no upfront cost. Jim Leighton, Limestone Water and Sewer District superintendent, said the array has been up and running since Dec. 19, 2018, and that the panels already are producing more energy than initially anticipated. Limestone Town Manager Elizabeth Dickerson also was pleased with the project’s progress. 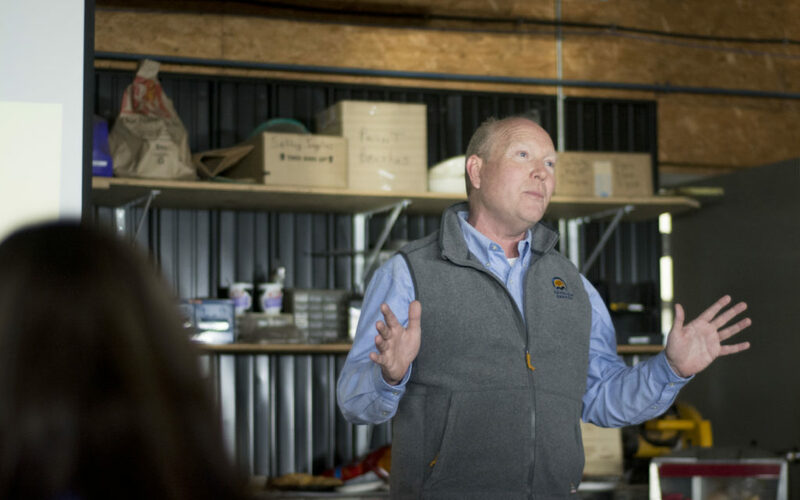 Chuck Kelley, a member of the Water and Sewer District Board of Trustees, echoed Leighton’s sentiments about production being higher than anticipated. 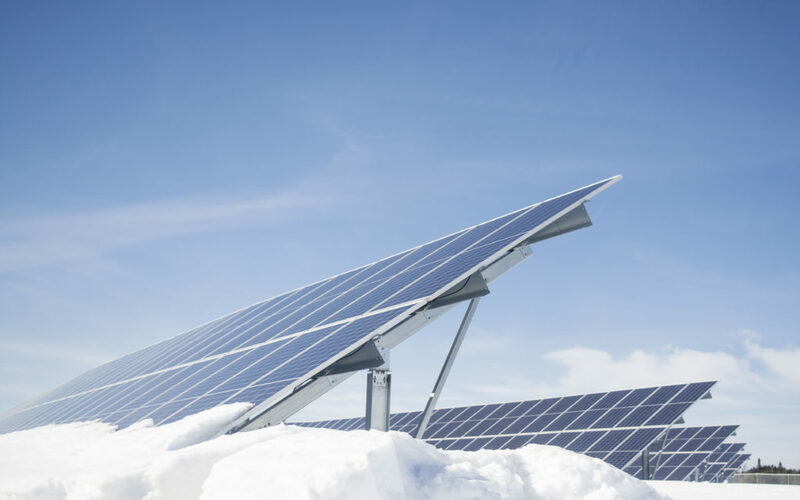 He said these initial projections are particularly good news since they are based on power generated during one of the worst periods of the year in terms of sunlight. Kelley said that while the power purchase agreement could continue for 25 years, the district has an option in the contract to buy out the solar array after five years and own it outright at a discounted rate that would knock 40 percent off of the installation cost. Between now and then, Kelley said the Water and Sewer District is going to put away the money saved via the array and use it toward that purchase. The three and a half acre site also is within the district’s wellhead protection area, a zone where not many projects can be built due to the potential for spills and hazards. 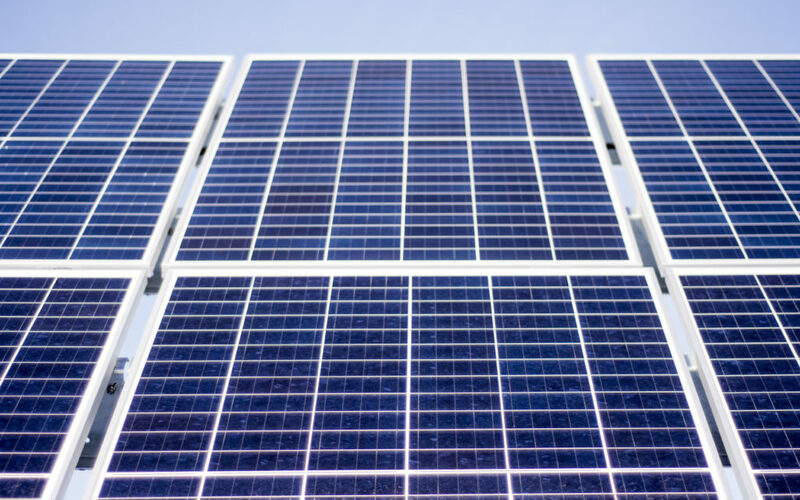 Solar arrays, however, are one of the few projects that can be built in this type of zone. Representatives of the community, ReVision, and the water districts of neighboring towns, celebrated the success of the project in Limestone on March 14. Revision Energy employees made a presentation about the project to the group and then gave a tour of the array. 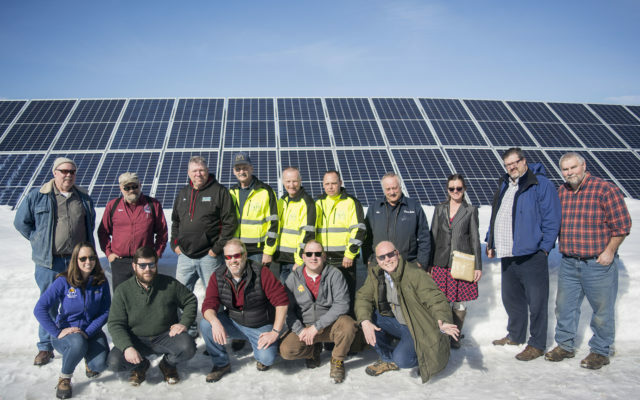 Holly Noyes, public relations manager at ReVision Energy, said the event was not only a celebration but also intended to get the word out to neighboring communities as well. Kurt Penney, a commercial solar consultant, began the presentation by giving a brief overview of ReVision Energy, a company that started about 15 years ago as “a couple of guys in a garage” and now employs over 250 people. The company, which is completely employee-owned via an Employee Stock Ownership Plan (ESOP), is a certified B Corporation, meaning that its mission goes beyond profit. Bryan Byrne, the project manager, said he was “one of those guys who started in the garage,” adding that it has been nice to see the company’s progression. Byrne then provided an overview of how the project came to fruition by showing the crowd photos taken during construction. Everything began in a field where the former industrial park was located. Leighton and the Water and Sewer District crew mowed the field as the ReVision team scheduled to have materials delivered. After that, the crew took all of their organized materials and began to erect the structure. Of all the pictures, Byrne said his favorite was of the main distribution panel indicating that the solar array was successfully drawing power.